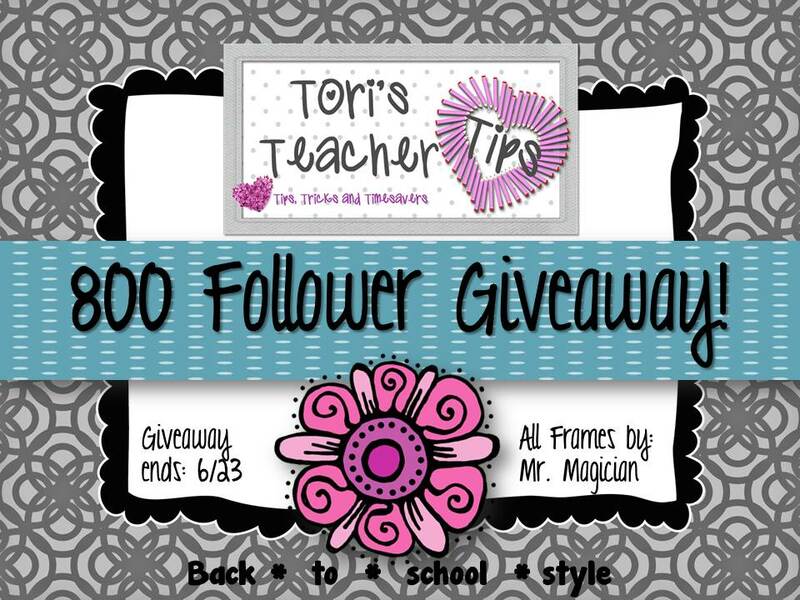 Giveaway at Tori's Teacher Tips! Just wanted to remind you that today is your last chance to enter to win some awesome prizes over at Tori's Teacher Tips! There are tons of awesome bloggers giving away some of their best stuff. You can even win an item of your choice from little ol' me!! Click on the picture below to enter. Do it now!